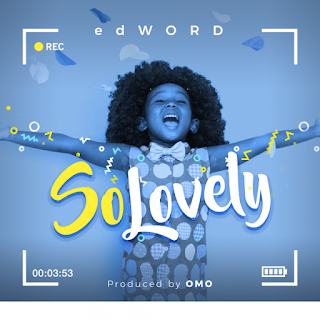 After the successful release of his EP, Eden Pieces, edWORD is back with yet another uplifting song titled So Lovely. This piece of music has the ability to make you move and still nourish your heart. The aim is to celebrate the life and ability of each person. ‘So Lovely’ was produced by OMO and edWORD, it was engineered, mixed and mastered by OMO for Native Music productions. “This song was recorded in 2013, it has brought joy to many. A lot brought me to this point of release.I am grateful for all the experience and the lessons this song has taught me. The release of this song is to honour OMO, the producer, who passed on September 25th, 2016. Connect with edWORD on social media @edWORDlive on all platforms.